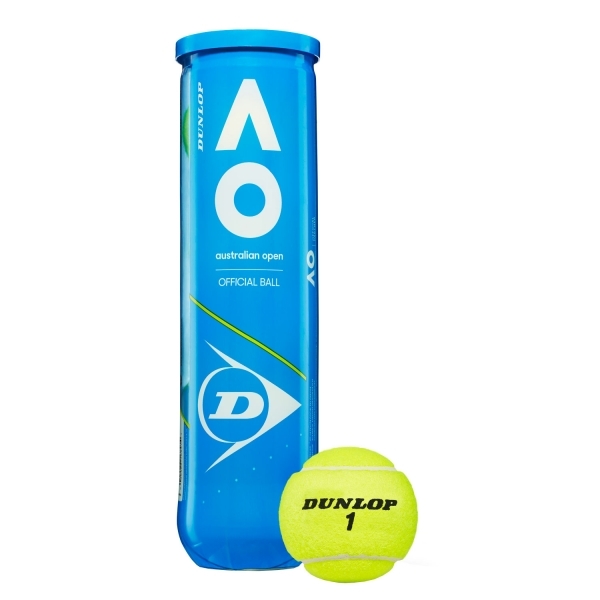 Dunlop the official ball of the Australian Open! 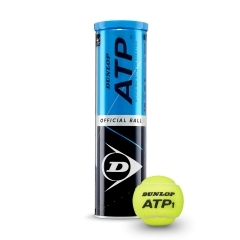 The 1st Grand Slam tournament of the year chose the historic quality of Dunlop signing a multi-year contract and starting a partnership that looks like it will last for years to come. 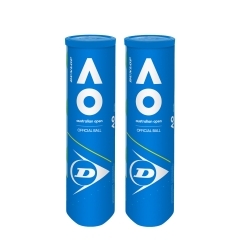 Dunlop put all their experience in play to create the perfect tennis ball for the Australian surface and closed it in an elegant blue tube, the same blue color of the Melbourne courts. 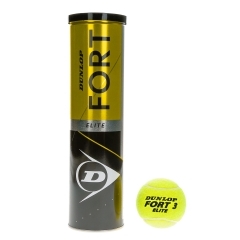 Before the launch, the new Dunlop AO tennis ball was è stata rigorously tested in laboratories and on the court by tennis stars of the past and top players in the game today receiving very positive feedback. 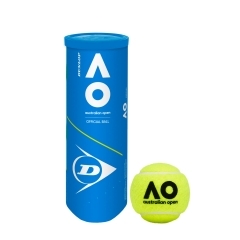 Made with very pure natural rubber, the Dunlop AO ball new “HD Core Technology” to assure longer durability and consistent game characteristics. 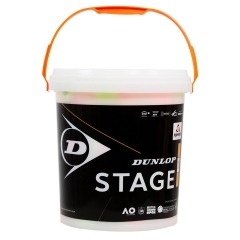 While the new “HD Pro Cloth” felt construction guarantees high visibility and conforms to international rules. Adapt for all type surfaces. 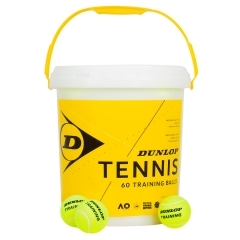 *** Important: to reduce damage to a minimum during transport, it is recommended purchasing this product in multiples of 18 pieces.